Discuss the millennium era of Godzilla films! From Godzilla 2000 Millennium to Godzilla Final Wars, these films comprised a wide variety of styles and topics! Me getting there followed by me there. Maybe it was just watching a whole lot of other '90s and '00s Godzilla films around it than made me appreciate the higher quality, better characters and acting, better direction, more creatively staged kaiju portions... yeah, it's been a couple of months and I've come back to this film a few times since then and the glow hasn't worn off. Sure, you can see the seems in a few places (literally and figuratively), but I'm just not as bothered by it now. 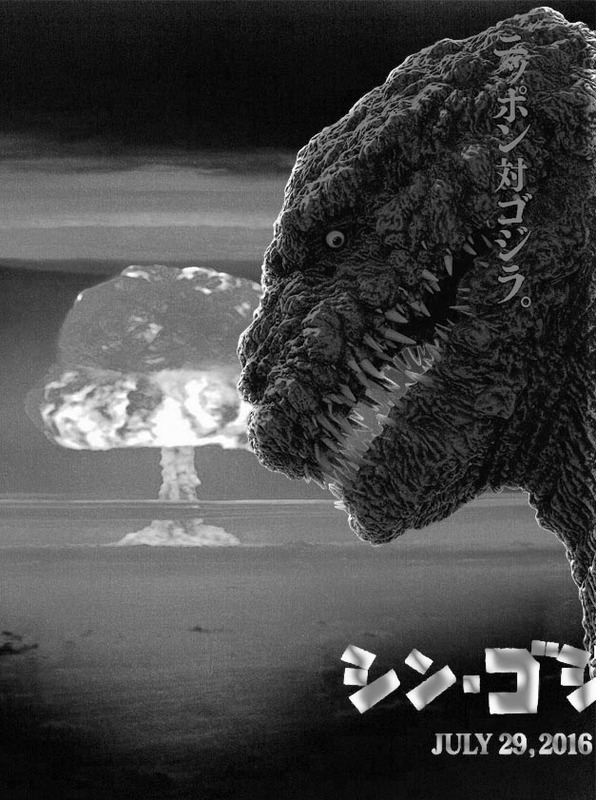 The GMK Godzilla design has also risen in my estimation, even if he has a comical waddle in some scenes. And I now concede that to an audience familiar with Japanese mysticism the fantasy aspects would seem a lot more natural. I know many of us find that aspect frustratingly minimal. 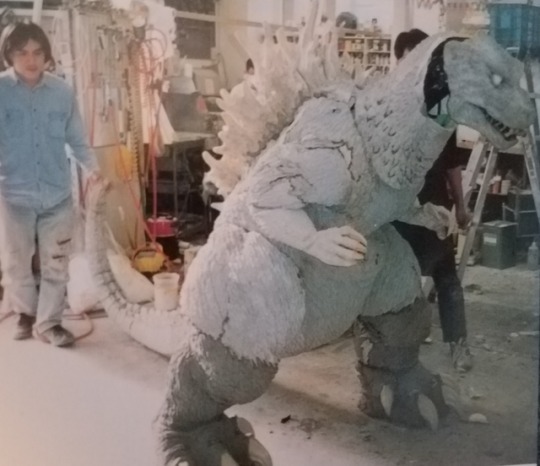 Baragon suit actress Rie Ôta felt inclined to actually roar as the monster while performing in the suit. It is the most adorable thing ever. What is in the photo and then gone? Or was it in a video. Anyway something disappears out in the woods and I can never tell what they are talking about. What went away? It's three sticks. Kinda sorta a little bit positioned in a way that they possibly vaguely resemble the three horns on top of one of Ghidorah's heads. Maybe. It's really obscure and almost nonsensical. Definitely feels like the beginning of an idea that the filmmakers never went back and fleshed out and formed into an actual cohesive plot line. I think somewhere, probably around 2008-2010 I fell out of love with GMK, but it is slowly returning to where it had been. I think it comes down to the quality of the thing, but it does have to compete (in my brains) with other Goji films I feel may be objectively worse but are a heckuva lot of fun. If King Ghidrah was swapped out for literally any other kaiju. And the third act was cleaned up so the pacing didn't feel all out of whack, then I think it would be a far better movie. I love the film up until Baragon dies and then the movie tends to become background noise while I do other things. MekaGojira3k wrote: I think somewhere, probably around 2008-2010 I fell out of love with GMK, but it is slowly returning to where it had been. I think it comes down to the quality of the thing, but it does have to compete (in my brains) with other Goji films I feel may be objectively worse but are a heckuva lot of fun. I suppose a few things about the film bothered me (and were frequently harped on online), but recently the unavoidable fact that it's just got so much more going for it has won me over. Despite the retread use of Mothra and King Ghidorah, as time goes on I think that this film will remain a highlight of the franchise. It's an entertaining film that captures a unique segment of Japanese society with a relevant message for the time. I'd say this will continue to be my number one recommendation for people to start with the franchise if they are interested in the character. I know they tried making the suit as self-contained as possible, with an animatronic face allowing great expressions, but I was unaware of other features in the suit - like the breathing chest and moveable fins (an idea I like a lot). I don't know if they show up in the movie but they were a surprise to me. You can see these at the tail end off the video. 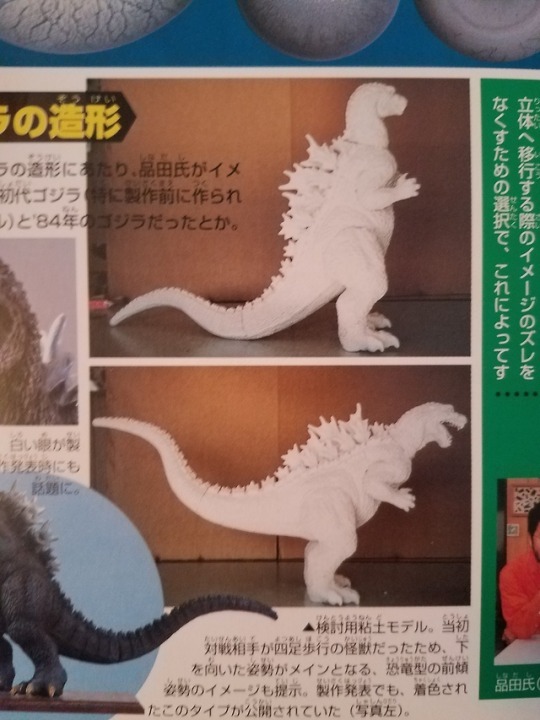 Another thing is that it's a common bit of trivia that they tried making Godzilla lean over like a T. rex or G98, but I've never seen much evidence to support that - If anything if looks like the maquettes and in progress suit is even more upright with much better posture than he has in the final film, where they had to compromise with the slight hunch giving him his infamous pot belly. The fin feature is used probably most notably when Godzilla first charges his atomic breath (before the mushroom cloud), although I never noticed it I until after watching that making-of video on the R2 DVD. Hm. Definitely something to keep an eye out for next time I watch. I've never noticed the fins or the chest so it'll be interesting to see if I pick them up if actively looking. 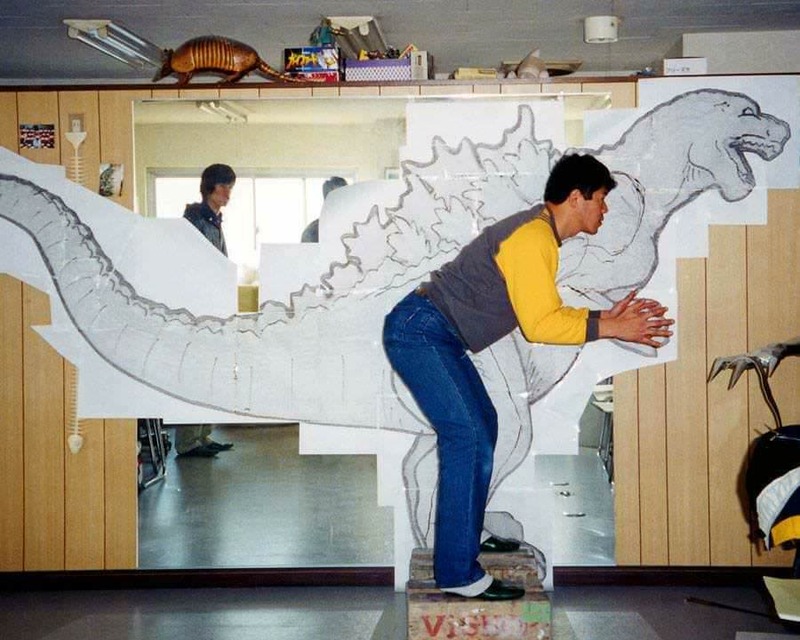 tbeasley wrote: Another thing is that it's a common bit of trivia that they tried making Godzilla lean over like a T. rex or G98, but I've never seen much evidence to support that - If anything if looks like the maquettes and in progress suit is even more upright with much better posture than he has in the final film, where they had to compromise with the slight hunch giving him his infamous pot belly. The Maquette with the traditional upright pose looks so much better than the beer gutted creation we got. 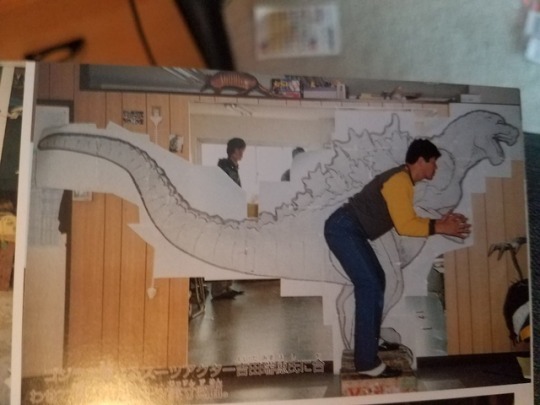 If they could have pulled it off, the dinosaur pose could have been really cool. But just imagine the strain on the suit actor. DannyBeane wrote: The Maquette with the traditional upright pose looks so much better than the beer gutted creation we got. I agree with JD. Team Potbelly! Oh wow, never mind then. I agree, and the leaned over pose looks a bit, well, constipated as Harryhausen would say about modern dinosaurs, I have a hard time visualizing how that would even look and work in the movie. Honestly, how did they even think that they were capable of pulling that off? lhb412 wrote: Honestly, how did they even think that they were capable of pulling that off? My lower back aches just looking at that concept. I wonder the same thing about Legion, but they were able to make THAT work, and that's way more insane. I always wish Toho had attempted something like Legion for Godzilla to go up against, it's such a cool monster design that is so much more impressive than any of the 90s/2000s film's. I'd also like to point out the way the Ultraman Nexus TV show used great, simple methods to break up the human silhouette a bit with their monster suits. My favorite was probably the monster that featured the human suit actor inside wearing stilts on his arms, making for a four-legged monster with elongated front legs. A little ingenuity goes a long way!